The First Encounter of the Mestres of Origin (current Counsel of Recordation of the Teachings of Mestre Gabriel). (Jaru, Brazil, 1987) | Photo: Yuugi Makiuchi. He published an article in the Alto Madeira newspaper, of Porto Velho, in September of 1971, clarifying what the behavior of a member of the UDV should be. Entitled “Watchful While Sleeping“, the publication served as a response to the preaching of a catholic reverend, who had criticized the União do Vegetal in his Sunday mass. Another example is given in the events narrated in “The Conviction of the Mestre,” an article also published in the Alto Madeira newspaper, in October of 1967. The text reports of the arrest of Mestre Gabriel as he indoctrinated 38 of his disciples. He was set free the next day and found his disciples wanting to file a lawsuit against the traffic commissioner (on duty), who had made the arrest arbitrarily. Mestre Gabriel’s attitude was one of counseling the disciples to not harm the officer. Instead of investing resources in a lawsuit, he guided the publication of a text in the newspaper to clarify the occurrence for society. Just as in this case, it was common for Mestre Gabriel to use everyday situations, especially within the brotherhood, to bring teachings. He also encouraged the participation of the disciples not only in sessions but also in the institutional organization of the UDV. Since that time, each one of them participated as they could, in the administrative structuring of the UDV. 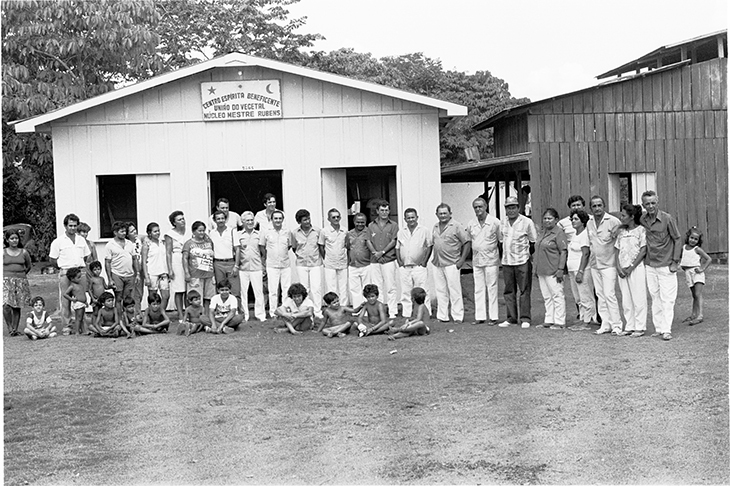 Fraternal coexistence between members and children of members of the UDV at Sede Geral (Brasília, Brazil) | Photo: Julio Trazzi. 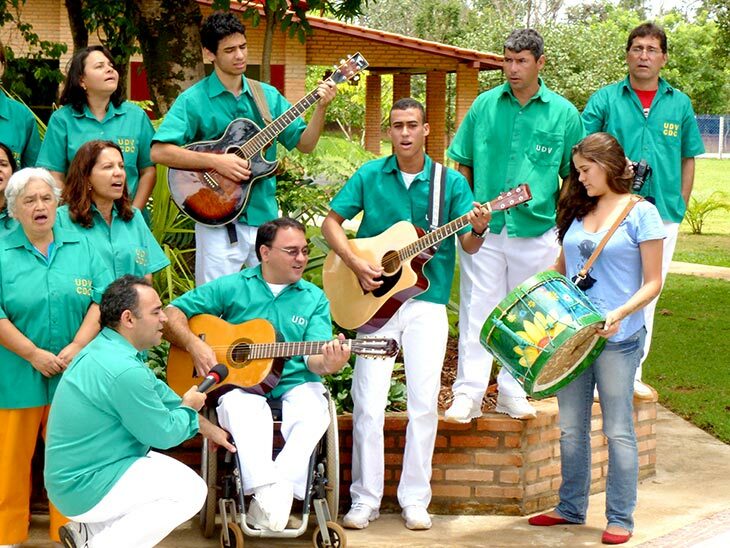 The União do Vegetal teaches how it is possible to have a balanced life with more peace, harmony and fraternity. Those who decide to truly walk this path and put the teachings of the UDV in practice, experience a process of gradual transformation, with visible improvements. Such change is noticed mainly in the family environment. Members’ relatives often testify to an improvement in their relationship and in the member’s behavior. In general, the affiliates of the Center start to have more awareness of the importance of family values. There are also many families where all members belong to the União do Vegetal. The doctrine’s moral principles and the Núcleos’ healthy environments allow families to have a more oriented life development. The adolescents of the UDV are an example of this. Living in the União, they find favorable conditions for developing good character, learning to differentiate between bad and good and to make good choices.